Ever check a birdhouse only to be disappointed in finding a wasp’s nest instead of bird’s nest? 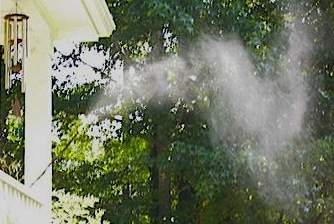 It happens all the time as conditions are also perfect for housing the pesky insects. Especially inside wooden houses, they love to build their honeycomb structures and thrive. You can actually guard against hornet and wasp invasion, and keep those decorative bird houses reserved for birds only. The secret weapon is soap! Yes, plain old simple bar soap. Take a dry bar of soap and rub it on the underside of the roof inside the bird house. This is where most nests are found. Wasps can not (or will not) cling to a surface that has been “soaped”. They’ll also build nests on the vertical walls of the house, but usually near the top. These areas should also have the dry soap applied. It will not harm birds, nor hinder the nesting process. Granted you’ve got to be able to get your hand inside the house to do this, and some decorative bird houses may not allow that option. 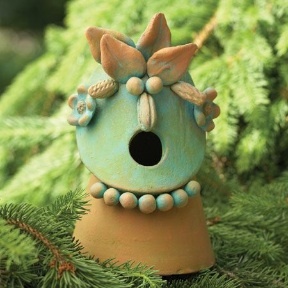 These fun ceramic birdhouses actually separate so you can get to the inside should the need arise. When choosing any birdhouse, it’s best to make sure it’s a functional one if you’d like to entice feathered friends to nest. Always look for some type of clean-out so you can remove old nests, ventilation is important too. The house will be more bird-friendly if the entrance is situated somewhat toward the top portion as well. This helps protect nestlings from predator’s reach. Nesting season is here, we found four eggs in one of our bluebird houses today! It won’t be long before chickadees, titmice, warblers and all the other cavity-dwelling birds start seeking digs to raise their young. If you’ve already got bird houses in your yard, it’s best to check for old nests and remove them. A plastic bag works great, just grab the nest and turn the bag inside out, otherwise, gloves are recommended. 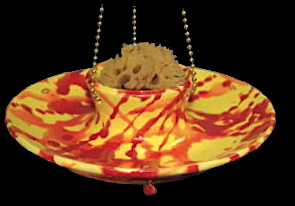 Make decorative bird houses available for your beaked buddies this season… and they’ll thank you for housing the birds! 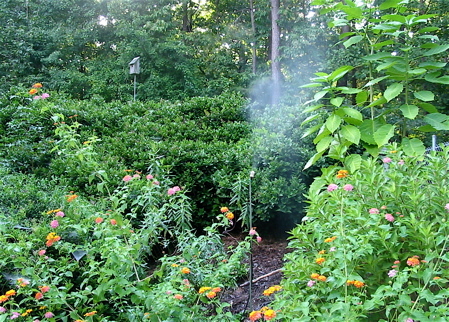 Oh, and don’t forget the soap if wasps or hornets are a problem around your yard. 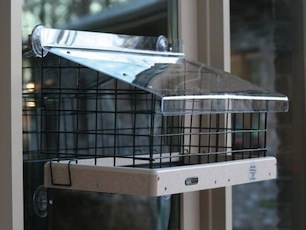 squirrel proof bird feeders, strange bluebird food and a great story. Years ago (late 1970’s before mealworms) one of my bluebirders Edith Gingles fed a family of bluebirds everyday on her back porch. She fed all sorts of birds but kept a sling shot with a “three cornered rock” handy for the creatures that would harm her chosen feathered friends. 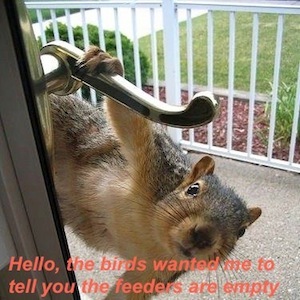 English Sparrows and squirrels would have to duck and dodger her fury, there were no squirrel proof bird feeders. For those who don’t know about a three cornered rock, no matter which side you got smacked with you got hit with a “sharp side” of those rocks. I guess Edith was 70 or older when she stole one of my road side boxes I had put up about 1/4 mile from her home. I knew because she put it on the power pole right beside her trailer house just about 50 feet off of the road….I replaced the box up the road again and the next week she had two boxes up now in her back yard……Next week she stole the third replacement nesting box……That one was “pretty” and it ended up on her back porch railing about 6 feet from her door….. I finally stopped to visit with the “nest box thieves” as this was a “new” road for me and I was there for a little over two hours enjoying milk and homemade cookies and hearing stories about East Texas back before asphalt roads and before Model T’s showed up. Although I had stopped to tell them that bluebirds would NOT nest on their back porch, we watched “her” baby blues finish off building a nest in that box just a few feet away from us as I made a whole tray of soft oat meal cookies disappear. It probably would make a good book as these visits went on till she turned 90 or so and moved to town when the strip mine coal company made it out north of town and her coal went to the big boilers. Favorite food for bluebirds was fresh baked cornbread with extra sugar and extra lard and or extra butter within the mix. They got this everyday during the winter and this did NOT come out of some mix. She would add any type of chopped nuts, she would crumble up the mix while it was still warm then add the nuts just before she went outside. Raisins were really cheap back then and she added a handful on top or beside the mix. Bluebirds REALLY liked ANY cooked meat, especially fatty beef roast, finely chopped with small bits of fat separate but also finely chopped. They liked shredded chicken and or poultry, especially the fatty old laying hens you once could buy for “stew hens”. Shred the meat really fine, pour hot grease over the dryer cuts of pieces, chill it to solidify the grease and set it out after stirring it up a bit to break up the smaller flakes of chicken. She found that bluebirds liked MANY vegetables IF you added butter and or shredded cheese to them. Cauliflower, cooked in a cream gravy, add a couple of pats of butter, hand grate some cheddar cheese and set out this mixture all finely chopped and the bluebirds LOVED this. Ditto for old mashed potatoes, add in a little lard, butter and or bits of meat and they would also eat these. Of course they liked cooked rolled oats and or grits, Cream of Wheat to Yankees, but again either topped with chilled, skimmed off grease or add some lard or butter to the dish. In the summer she picked up “old” blueberries, blackberries and other fruits at the local store, chopped these up, dried them on window screens up on top of her metal back porch roof and then froze them for use in the winter. Extras ended up as “bluebird” food. She would sit out on the back deck, all wrapped up as flocks of birds came and ate various foods all around her. So she learned just how to feed all of the various backyard birds and which recipes they liked the best. She was REALLY pissed when at 80 the hospital got “new younger” doctors and told her that they would no longer accept “volunteers” at the hospital once they reached 80. Of course she had been a nurse for longer than ANY on the hospital board had been alive. It was their loss and the birds gain as she would spend the next 10 years out “nursing” and observing her birds. She continued to “nurse” her friends at the various “old folks” homes, until she had to move in also. blue bird houses with no roof! We have a gazillion birds around the farm in North Georgia, a bald eagle was even spotted last year. A loud ruckus with crows dive-bombing it in order to block the eagles’ access to their nest. Unfortunately much of the population is house sparrows, who compete (fiercely) with native songbirds for nesting cavities. You won’t find any blue bird birdhouses around the farm, or any birdhouses for that matter, but there’s certainly no shortage of nest sites and activity! Between the swallows and house sparrows around the three barns, and mockingbirds’ thick-stick nests in the crepe myrtles out front, that leaves about 400 acres of pure, natural habitat. Oh, and the heron, he loves to fly out of the ditch when folks are trail riding in the back. It spooks the horses every time… and he knows this (little fart!) A person could literally get a great start their bird list right here! With some of the old wooden fencing still intact, the posts have deteriorated over time, and these bluebird chicks seem perfectly at home in one of those posts. If you catch the angle of that photo, you can see it was taken from above… No roof! What if it rains, and what about storms? We were like nervous mothers with concern for the babies. But a moms’ instinct is usually right on… four nestlings, and four successful fledges! You know, it did rain and it did storm on those babies, so I guess natural bird houses with no roof work too! But I still wouldn’t recommend it! It really wouldn’t behoove any of the birds to install nest boxes due to the sheer numbers of house sparrows on the property. There would be more fatalities than fledges as far as bluebirds, and we don’t need to encourage the house sparrows! In most of suburbia there is indeed a shortage of natural nest cavities. No rotted fence posts, very few dead trees, and less of the mature (we’re talking like one hundred year old) trees. Birdhouses really do help cavity-dwellers thrive and flourish. Are there some do’s and don’ts? Sure, but one only learns by doing, and everyone who accommodates and enjoys backyard birds started somewhere. 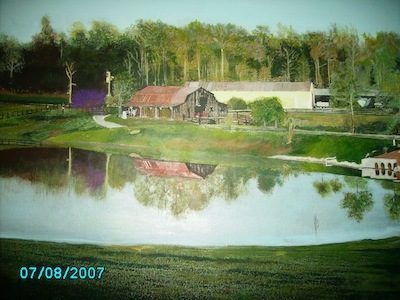 I did a painting of “the back 40” a few years ago, showing the old hay barn and shop. Tons of natural nest cavities and bird activity around this place! This may not have a thing to do with birding, but it’s a pretty huge victory toward ending useless animal experiments, and we’re glad to see it! 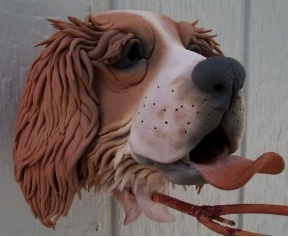 March 11, 2013,LOS ANGELES, CA–Today (March 11th) Animal Defenders International (ADI) welcomes the final stage of implementation of the European Cosmetics Directive. This ends the sale in the 27 countries of the European Union, of cosmetics that continue to be tested on animals elsewhere in the world. The historic move not only marks the end of the testing of any cosmetics on animals in the EU, but for the first time, puts pressure on cosmetics manufacturers in the USA, and elsewhere to end testing on animals, if they want to sell in the huge EU market of 501 million people. Through its Lord Dowding Fund for Humane Research – www.ldf.org.uk – ADI funds non-animal scientific and medical research including cancer, safety tests and neuroscience. 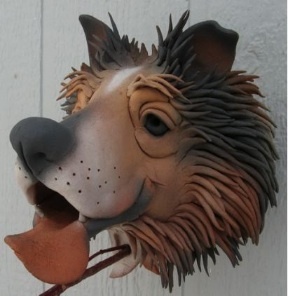 why are there so many unique birdhouses out there? While doing some bird house research and cruising the web yesterday, there were literally tons of unique birdhouses out there. Some of them began losing their uniqueness because they kept showing up, over and over again. Whimsical, finely detailed architectural styles, rustic, modern and just plain silly bird houses would all make the grade for a perfect nest site. Most had clean-outs, drainage and good ventilation. 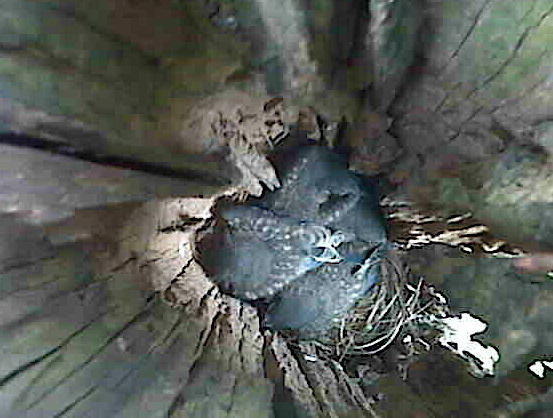 They also had safe distances from the entrance to floor-helping to keep nestlings safe from predators. Truth is, the plain wooden houses also provide optimal nesting sites for feathered friends, provided the habitat is somewhat suitable. 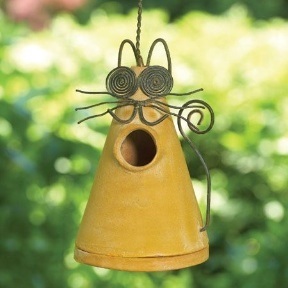 So why are there so many unique birdhouses out there? Well, for one, people like to decorate their spaces, giving a character and warmt h that applies to their outside environment too… call it curb appeal for the yard if you will. 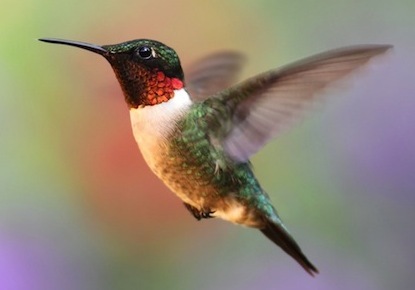 Outdoor space and gardening are wildly popular, and for many, backyard birding complements the garden, adding another dimension with moving color, sites and sounds. 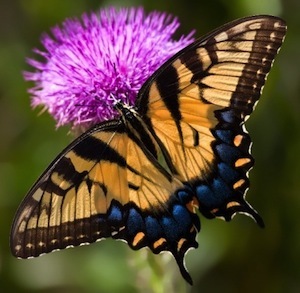 Fostering nature is rewarding in many different ways. Whether growing tomatoes, watching birds at a feeder or monitoring bluebird boxes, something from within simply awakens the soul. And absolutely, in this chaotic and fragmented world… our souls could all use some awakening! Another reason they’re so popular? Many of the houses could be classified as bonafide art, expressions of the passion and sheer talent of the artist, who’s likely also into birds on some level.